In 2015 we were delighted to welcome Baroness Young to present the recommendations and guidelines arising from the The Young Review. Launched within a climate of significant public sector reform The Young Review explored how to address the disparity in outcomes experienced by young Black and Muslim men in the Criminal Justice System and highlighted the need for a collaborative approach to ensure that the needs of service users from these target groups are met. The event also featured ‘Inside Out’ the ground-breaking documentary from Bringing Hope that explored the real life experiences of BME offenders and the challenges they faced as they transitioned from prison into the community. The documentary took an unflinching look into the life and journey of a prisoner through the process of release, posing the question – does the UK really give ex-offenders a 2nd Chance? Troubled, who me? 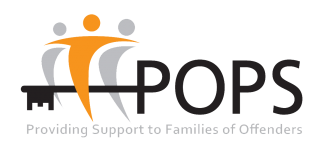 Understanding the needs of offenders’ families and why. The expanded Troubled Families (TF) programme has ambitious service transformation goals and will work with a broader range of multiple problems. Moving forward, the TF programme will extend to a further 400,000 families with a budget of £200m in 2015/16 and will include families with a parent in prison and on community orders. 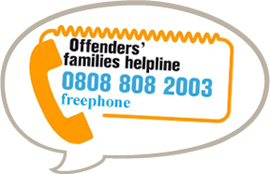 Not all families of offenders will meet the Troubled Families criteria but never the less they may require support. This conference presented the opportunity to bring together people to gain a greater understanding of the issues faced by the families of offenders and how these issues may or may not impact on the TF agenda. the anderson lectures Celebrating POPS 25 Year Anniversary, delved into the topic of desistance and the role of the family in supporting offenders. The event was free and was followed by a drinks reception to celebrate this significant milestone in POPS’ history. Speakers included Professor Fergus McNeill (Professor of Criminology and Social Work at the University of Glasgow), Dr Martin Glynn (Criminologist and Honorary Research Fellow at the University of Wolverhampton), Vicky Pryce (Economist and Business Consultant) and Farida Anderson MBE (family member and founder of POPS).